New York Times best-selling crime fiction writer, WILLIAM BAYER, breaks new ground with this novel, a coming-of-age/psychological mystery. HIDING IN THE WEAVE, written from the perspective of 18 year old Joel Barlev, a senior at Delamere, a school geared to talented young artists, plays off themes typically found in classic boarding school novels—requited and unrequited romantic relationships, alienation, rebellion, sexuality, troubled home lives, moral dilemmas, epiphanies and acquiring maturity. But there is more here . . . much more . . . It turns out there is something hidden in one of Liv’s abstract weavings, and when tragedy strikes, Joel and his two best friends, Justin and Kate, feel compelled to uncover it. The novel follows the four from the start of their senior year at Delamere through graduation and a little beyond. 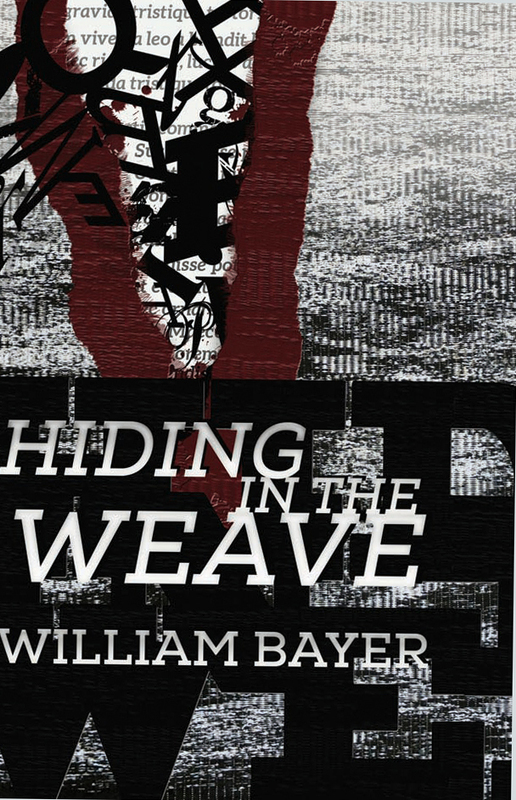 HIDING IN THE WEAVE is a novel for adults about the strivings of youth. . . love, passion, art, art-making, growing up and letting go. It takes the traditional coming-of-age boarding school novel into fascinating new territory.